In Partnership with the Herts Sports Partnership initiative ThisGirlCan, FREE Taster Session. For 6-10 year old girls. The next date will be posted here as soon as we know it. please email tennismanager@LSTC.org.uk for more info. Limited to 16 spaces. Great offers for follow on courses for those who attend. 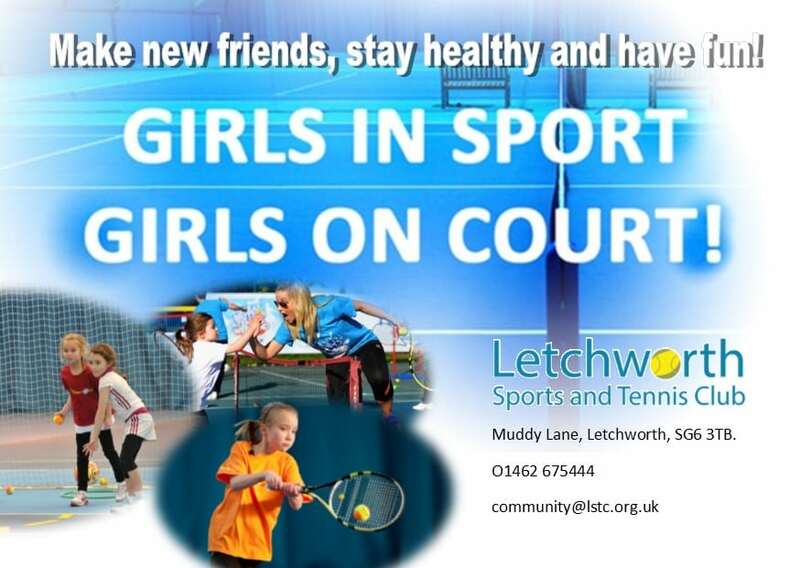 LSTC's initiative aims to involve more girls in tennis. Girls in Sport, Girls on COURT! is a great opportunity for all girls of any ability to enjoy tennis in all an girl squad. These sessions are inspired by LSTC's person, athlete, player philosophy. They are not only about learning to play the game but also about developing them as a person. We take time to allow the girls to talk, figure out problems, come up with their own activities for the group and become more confident in themselves which hopefully as they get older will help with the challenges they face. LSTC are proud to have a groups that are all girls and especially proud that we have 4 female coaches that have developed from this programme- the only club in the country to do this! Groups are split into standard so each girl gets the most out of the sessions.